Please contact us to reschedule for next week. 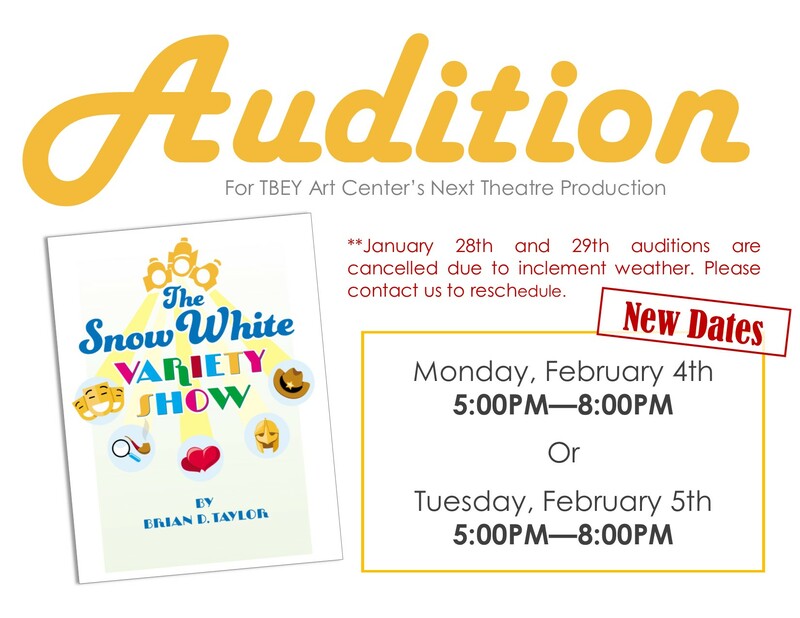 We are seeking youth (ages 8 – 19) to be a part of our theatre production for “The Snow White Variety Show” this spring. Rehearsals will begin the week of Feb 4th, meeting every Monday and Tuesday, 5:00-6:30PM. Performance dates are set for June 2019. Please call 414.562.TBEY or complete the form below sign-up for the audition date.